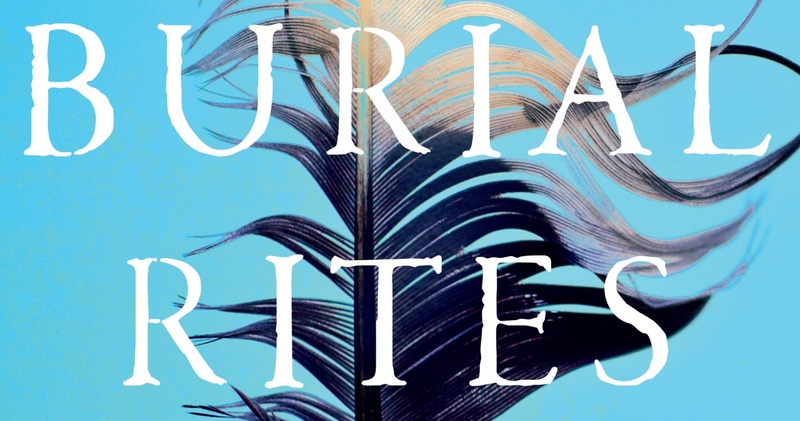 The book 'Burial Rites' by Hannah Kent is out now in paperback. Set in the year 1829, it tells the story of a young girl named Agnes who is condemned to death in Iceland. Agnes is sent to wait out the months leading up to her execution on the farm of district officer Jón Jónsson, his wife and their two daughters. Horrified to have a convicted murderess in their midst, the family avoid contact with Agnes. Only Tóti, the young assistant priest appointed her spiritual guardian, will listen to Agnes’s side of the story. As the year progresses and the hardships of rural life force everyone to work side by side, the family’s attitude to Agnes starts to change, until one winter night, she begins her whispered confession to them, and they realize that all is not as they had assumed. I've had a chance to read the book, and I found it very gripping and emotional. The imagery in the storytelling very much suits a good film adaptation, and the role of Agnes in particular lends itself to a powerful performance. Highly recommended! As you may already know, the book is being adapted for a potential film, starring Jennifer Lawrence in the leading role as Agnes. It is set to be directed by Hunger Games helmsman, Gary Ross. The giveaway will close on Sunday, 16th March at 9PM GMT. Open to all fans currently residing in the UK and Ireland. Winners will be notified by email no later than the 18th. If chosen, you must reply within 24 hours or else your prize will be passed on to another person. Good luck!